Each year I get the biggest thrill when hand knit or crocheted hats for children start rolling in. I love looking at the colors, the designs, the newest patterns. And then every winter I get another thrill as we pack them up to head to their new owners. 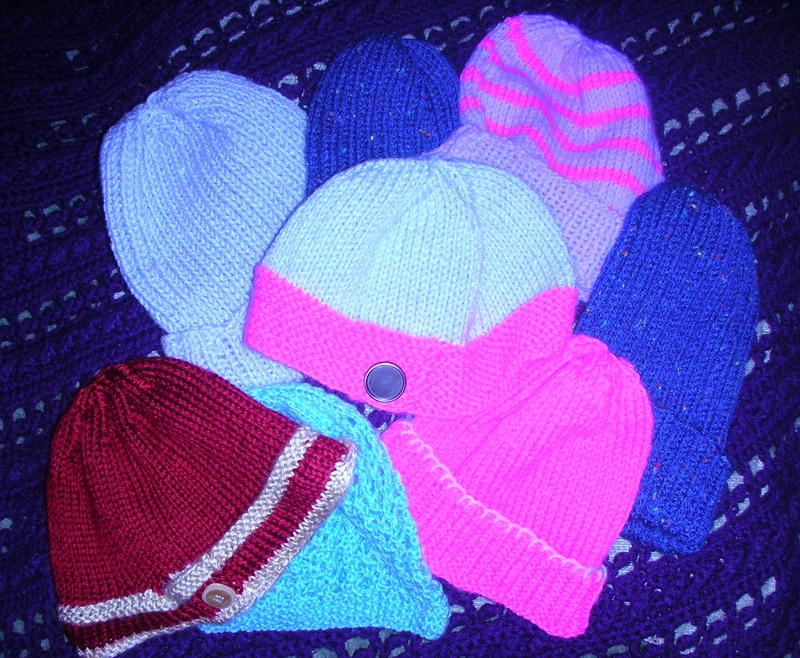 I love to look at each hat and picture the person who made it; the time it took, the love that went in to each stitch. Hats For A Purpose, now in its fourth year, received hats from as far away as Arizona and Pennsylvania as well as our local Capital District area. And it was a banner year – we are distributing over 150 hats in the next couple of weeks – think of the big smiles on the children’s faces when they get a brand new, beautifully made and warm hat. Thanks to all of you who take part in this project. Although you may never see the joy you bring to these children firsthand, your care and compassion knows no bounds.